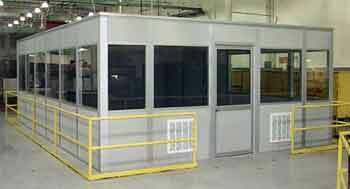 Modular Office Building Installation, Design & Sales Nationwide. Over the past few years, major changes to the methods of constructing modular office buildings and the materials used in their manufacture, coupled with alterations to the taxable impact that these have on your business have made them a much more popular option for any business that wants to invest in gaining additional work space by making better use of their land and property. Essentially, modular office buildings use prefabricated components such as walls, windows, doors, and frame that can be put together in a variety of different ways in order to produce a building that is specifically designed to the particular needs of your business. 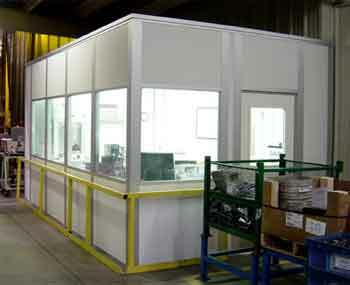 Unlike the uniformly faceless beige boxes that represented the world of prefabricated buildings a few years ago, and offered a poor quality working environment, modern modular office buildings provide you with an excellent standard of accommodation that in most cases, matches, or even exceeds that which you get in conventional offices. All buildings are designed to your particular needs, while the actual materials used are produced in a state of the art facility that is completely environmentally controlled in order to ensure consistent standards throughout the building process. All the panels feature fire retardant materials and insulation that ensure that the structure meets all the available guidelines and requirements of the modern building industry without the larger expenses of traditional materials. One of the main changes to the way modular office buildings have been constructed in recent years has come in the form of the materials that are used. Sound reducing panels in the walls, and 1/4” tempered glass windows have enabled the buildings to be placed practically anywhere without having an impact on the interior from external noise. You can place a modern modular office building within a busy factory environment, and the industrial noise will not disturb staff at all. High quality insulation and the ability to include all the equipment and services that you need such as electricity, air conditioning, and telephone systems mean that the accommodation offered by the office space is at least as good as that offered by your regular office. One of the biggest advantages of choosing a modular office building is the relatively quick lead time from making the decision to install the structure through to the actual completion of the work. The various modules that make up the building such as walls, windows, and the frame work are all prepared off site, and shipped to you in the form of a big kit so that they can be put together fast. An experienced team of builders can raise the building from the floor to being ready for your staff to move in in just a matter of a few days depending on the complexity of the structure. 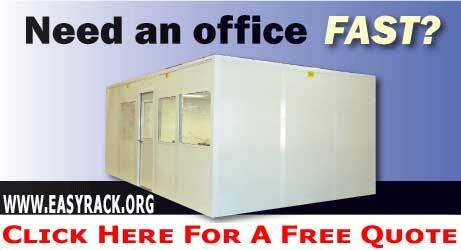 Another advantage of choosing a modular office building is the taxation benefits that they offer you. Unlike a conventional extension of office space that remains on your balance sheet for depreciation over 29 years, modular construction methods mean that the building depreciates over just 7 years, representing a major long term saving. The cost of construction is also much lower than other methods, allowing you to carry out your expansion at a fraction of the cost of traditional methods. As you continue to read through our selection of Modular Office Buildings, keep in mind we stand ready to answer any questions you may have about our offerings. Call us at 1-888-776-3720 whenever such questions arise and let us help you make the best investment within your budget. We are located in Houston, Texas.